Every Thursday evening Al Gauron has a special Pirate Cruise. We have personally taken this cruise with our granddaughter the last 2 years and it’s definitely going to be an annual event for us. Fun was had by all adults and children onboard. All the children get an eye patch and a sword, and they supply huge water guns for fending off the pirates that try to board the ship. It’s a well run event. Al Gauron Deep Sea Fishing & Whale Watching has been a family-owned business in operation for over 75 years. Captain Al Gauron started taking people recreational fishing in the summer of 1934. 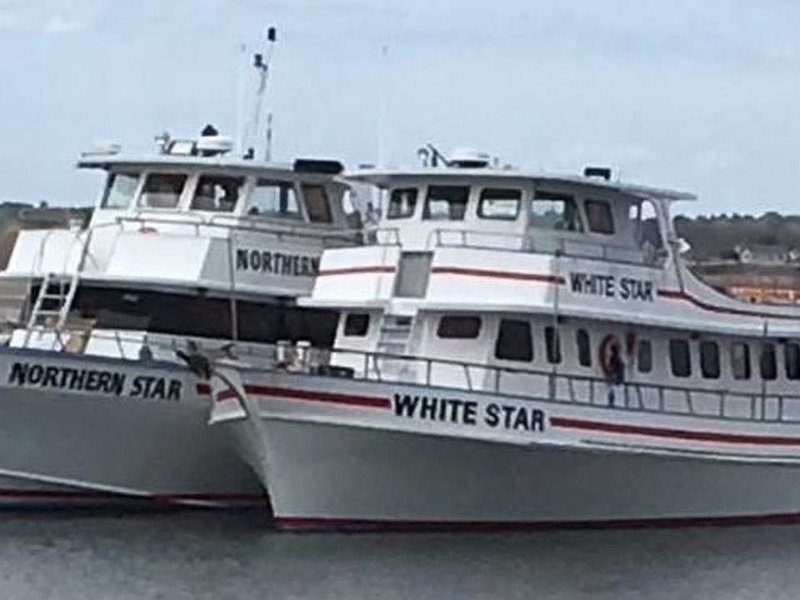 He had two boats operating by the 1950’s, and along with the fishing business his family grew with four sons: Ricky, Rocky, Randy, and Ronny. Al built a fishing empire which is now being passed on to the next generation. Join us for our Pirate Cruise Special! Al Gauron Deep Sea Fishing & Whale Watching has been a family-owned business in operation for over 75 years. Don’t miss the boat! 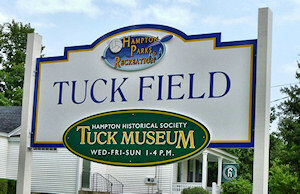 If history is your thing then a trip to the Tuck Museum in Hampton should be on your list of to do’s. 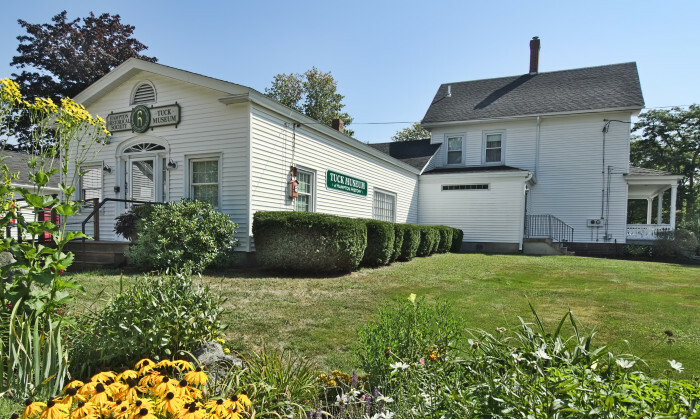 Known since 1994 as the Hampton Historical Society, the society was incorporated in 1925 as the Meeting House Green Memorial Association to honor the original settlers of Hampton. 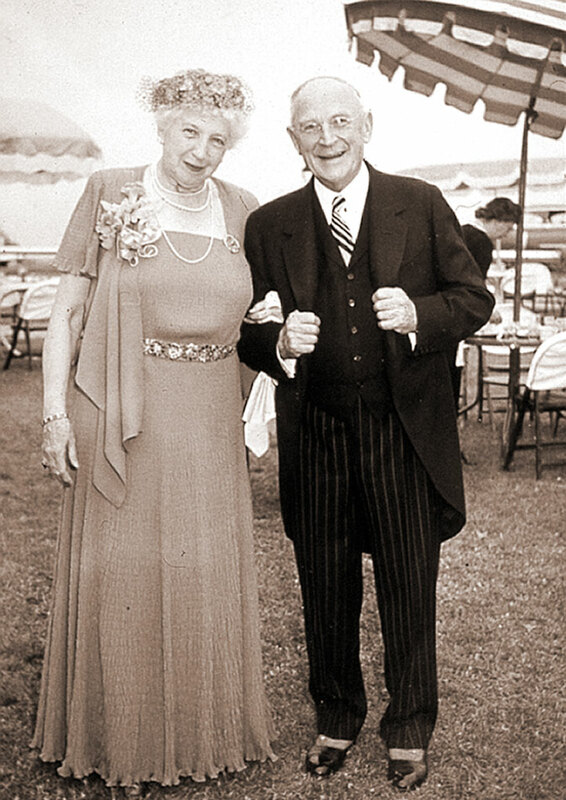 A descendant of one of those families, Edward Tuck, generously donated funds to purchase a house on the site of the original meeting house green. The land surrounding the house was laid out as a park, and the house was turned into a small museum, which was appropriately named the Tuck. The museum has continued to grow. Other buildings on the Green have joined the main house as exhibition areas. There is a nineteenth-century school house, an eighteenth-century barn, a fire-fightning museum, and a Hampton Beach tourist cottage. If you are going to be in the area anytime from May-mid October you will have to make it a point to visit Fuller Gardens. Fuller Gardens is a non-profit, public botanical garden located in North Hampton, New Hampshire, it’s only 2.8 miles from The Beach House!! The Gardens are open from mid-May to mid October, seven days a week from 10:00 a.m. to 5:30 p.m. 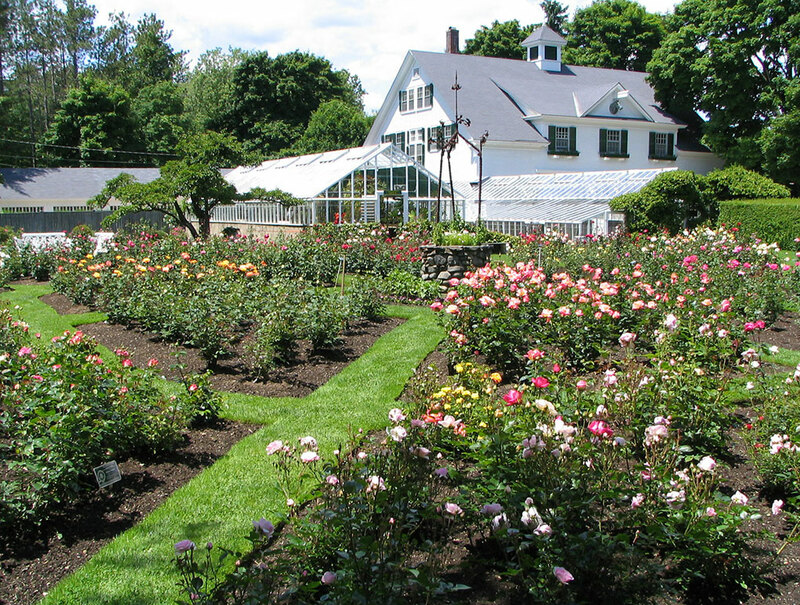 The formal rose gardens designed in the Colonial Revival style were commissioned during the late 1920s by Massachusetts Governor Alvan T. Fuller at his summer estate. The meticulously maintained formal Rose gardens, English perennial plantings and a Japanese garden provide a continuous array of color and interest from spring until fall. Today Fuller Gardens depends on the support of visitors, members, foundations and philanthropists. Fuller Gardens remains a seaside gem open for the enjoyment of seven thousand annual visitors. Members: FREE Become a member now! Fuller Gardens is 75% handicapped accessible. There is a wheelchair accessible restroom. All the paths in the gardens are more than 36 inches. There is seating throughout. However, there are a few areas where there are 3 steps up and down. There are benches for seating throughout Fuller Gardens. 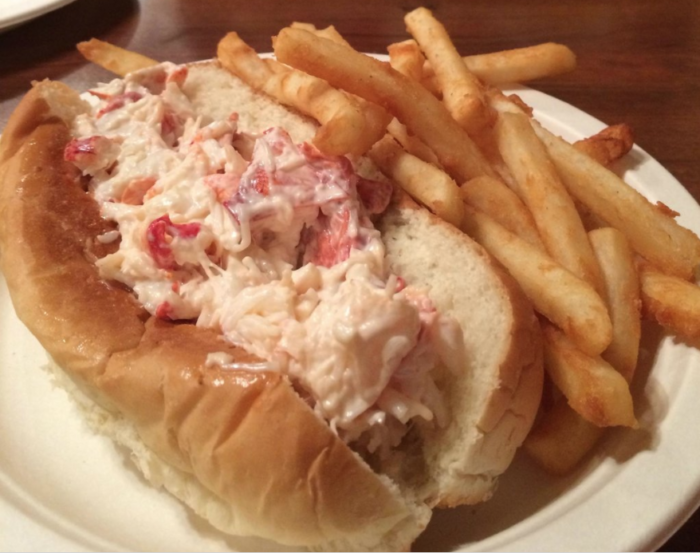 A trip to Al’s seafood should be on your list of places to visit while you vacationing in the Hampton Beach area! Their specials will not disappoint. Al’s is the go to place for great seafood at reasonable prices. 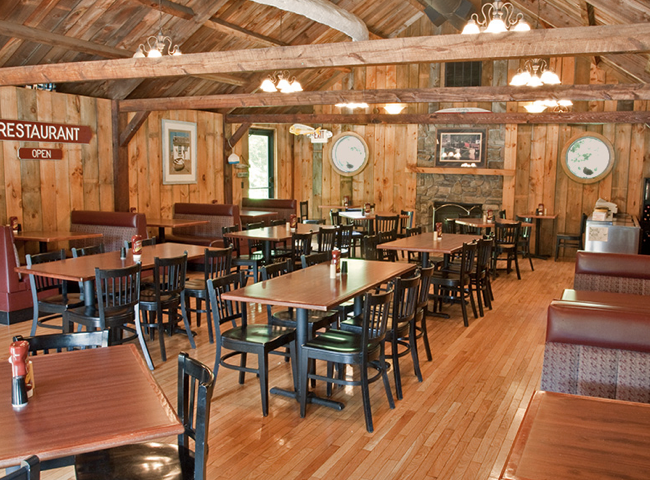 It’s a very casual come as you are friendly atmosphere for the whole family. Order at the window and seat yourself and the friendly staff will bring your meal to you. 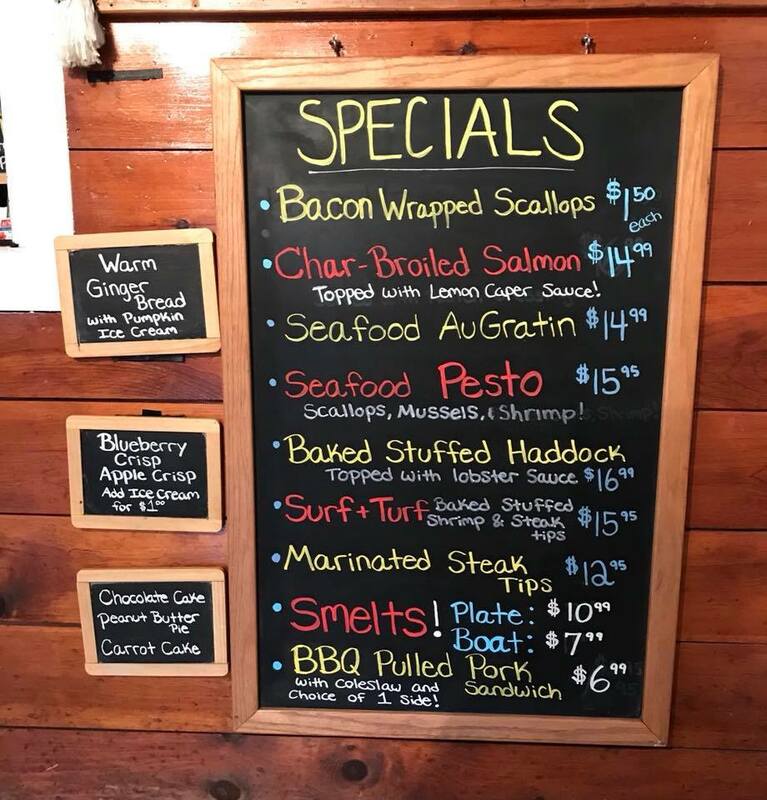 A great place to get the freshest lobster, some of the best clams, scallops, shrimp and fish you will find. This is definitely the go to neighborhood restaurant. 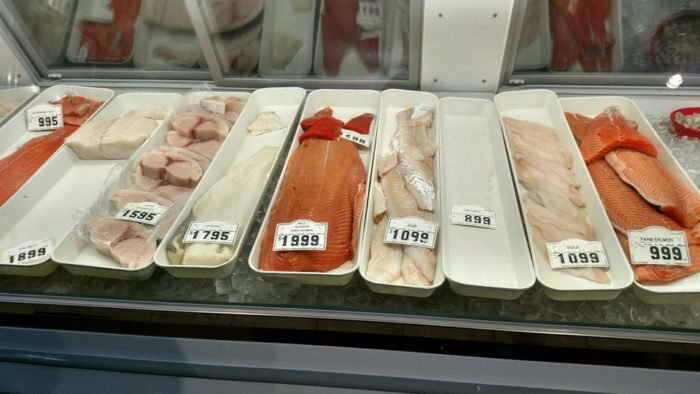 If you’re in the mood to cook, they have a full service fish market with the freshest fish you will find anywhere. Dial 603-964-9591 to place an order. Click here for a map and directions, courtesy of MapQuest. Heading northbound on Route 1 we’re located on the right side, just north of the Shaw’s shopping mall in North Hampton. Free concerts every night in the summer. 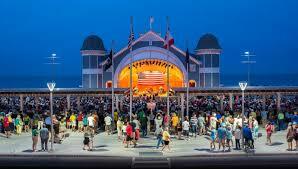 Every night during the summer there is free entertainment on the Sea Shell Stage. With over 80 shows featuring music from the 50’s – 90’s and beyond, you’ll enjoy the variety of bands who perform on stage, inviting everyone to dance in front of the stage. There are two shows each night. The first show is from 7-8 p.m. and the second show is from 8:30-9:30 p.m. It’s fun for all ages so bring the whole family. Dates for the Children’s Festival have not been announced. Please check back soon for updates! The Annual Hampton Beach Children’s Festival is the family fun event of the summer, kicking off on Monday, August 14th with a magic show by BJ Hickman on the famous Hampton Beach Seashell Stage at 10 a.m., and building up to a Giant Costume Parade that marches almost the length of Hampton Beach on Friday, August 18th. Every child gets a prize just for being a part of it. Each day will be a blockbuster, filled with non-stop activity and entertainment, including mini-golf, a Ronald McDonald show, free ice cream, dancing, storytellers, balloons, and more. There’s even a kids’ bumper sticker contest. All Children’s Festival activities are free and open to the public. Check our availability page to book this great week for vacation! The fun starts Monday, June 17th, 2019 when 200 tons of imported sand is dropped on Hampton Beach and the “Grady Bunch” starts pounding up the sponsor site. The entire area is illuminated for night viewing through July 1st. Watch Greg Grady and “The Grady Bunch” build a mammoth Sand Demo Site. The event is funded by the Hampton Beach Village District and Sponsors, in cooperation with The Hampton Area Chamber of Commerce and The NH Division of Parks. Check our accommodations availability page for the Sand Sculpting week.